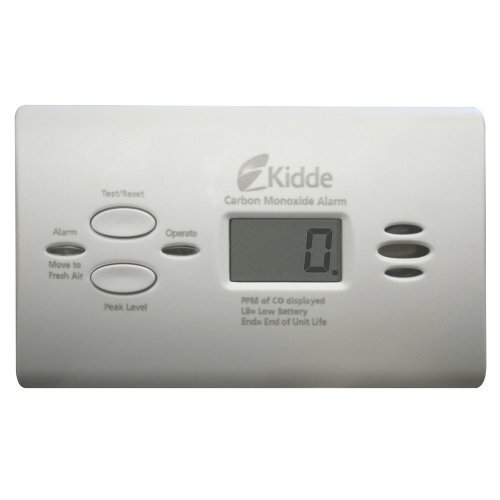 This is the summary of consumer reviews for Kidde KN-COPP-B-LPM Battery-Operated Carbon Monoxide Alarm with Digital Display. The BoolPool rating for this product is Very Good, with 4.30 stars, and the price range is $19.99-$42.20. 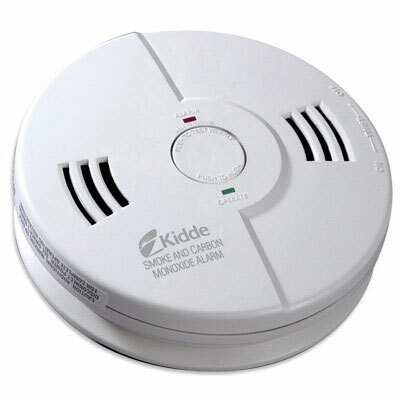 Kidde’s KN-COPP-B-LPM battery-operated Carbon Monoxide alarm with digital display helps to provide your home with extensive protection against the dangerous threat posed by the odorless and colorless gas. This unit features a large digital display indicating the level of CO that the unit is sensing, and it updates the status every 15 seconds for timely and accurate readings. The free-standing design allows for attachment to a wall or placement on a counter or nightstand for convenient and comprehensive protection. The KN-COPP-B-LPM also includes a slide-out battery door (requires 3 AA batteries, included) that provides immediate access to the power source as well as a battery safeguard that makes it difficult to close the cover without batteries installed. An LED lighting system on the unit signals power levels and sourcing: the green LED will flash once every 30 seconds to indicate the alarm is operating properly when power is present, and the red LED will pulse to indicate carbon monoxide has been detected until the device is reset or the CO threat is eliminated. 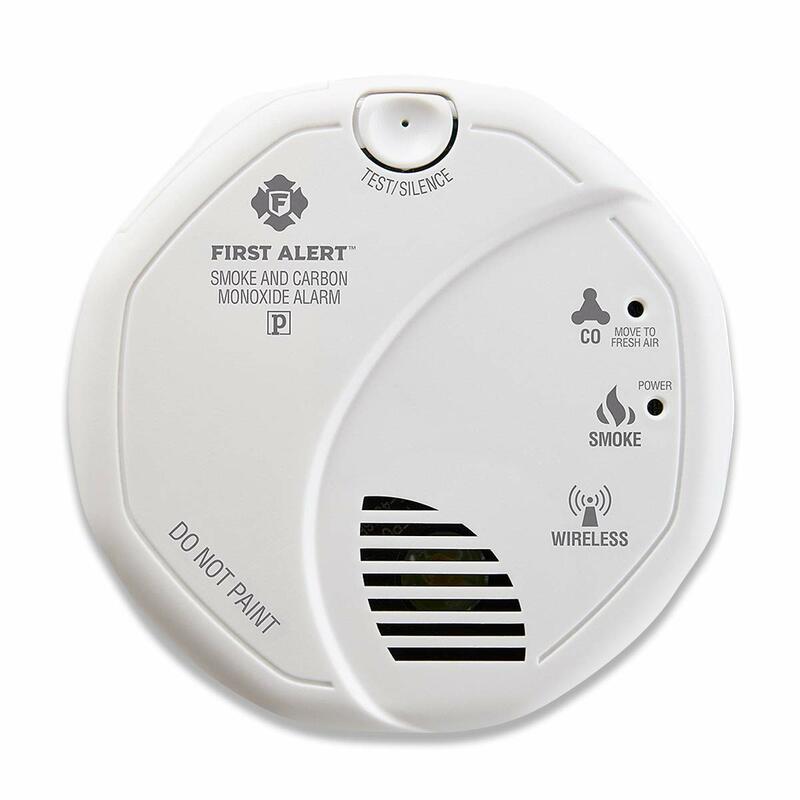 However, one major concern the reviewers mentioned is that this device does not monitor or detect low non-alarm CO levels that could be hazardous in the long run. 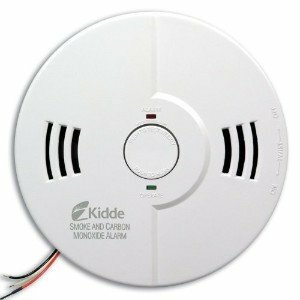 Overall, the Kidde KN-COPP-B-LPM Battery-Operated Carbon Monoxide Alarm with Digital Display is highly recommended for its reasonable price and safety features. This device has an expected shelf life of 7-year and comes with a 5-year manufacturer’s limited warranty. Seems to work fine, but it's kind of hard to know if it works when you don't know the CO level. As far as I know this works fine...haven't heard any complaints. If/when that times comes I'll know better if it works. I feel safe, very easy to read levels,blinking light lets you know it's working. I set it up very easy, and could tell that it was working. Fortunately I haven't had it go off yet, so I assume it's working fine. Out of the well designed package, it works as described, after installing the three batteries that came with. I love this digital readout. If I check peak level right after a test/reset, the unit will display some random reading between 19 and 29 when there's no CO. I'm now shopping around for a CO that can detect low levels of CO. This one uses LCD display technology and doesn't show very low non-alarmed CO levels. 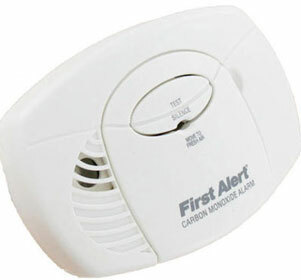 Every home should have a CO detector. 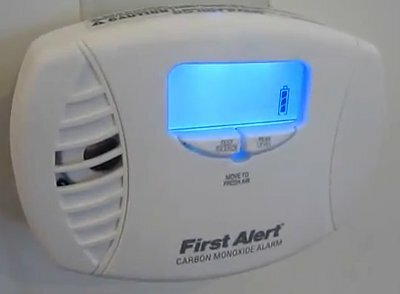 This unit is designed to be an alarm, not a CO "detector", so no complaints. My old CO detector went off again and showed about 30 PPM this time (not as cold outside during this day). Sure glad I got the CO detectors WITH a meter. I liked the older Kidde units with red LED display that'd display low levels in the non-alarmed state. 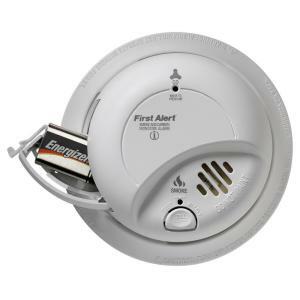 Has nice loud alarm, easy to install , Digital display easy to see, Batteries easy to replace , AAA ,. Easy to read, installation took no more than 2 min. Easy to set up and read. It was very easy to install and has a large Display panel as well. It was easy to install in the recommended place near our bedrooms and satisfies the requirement. 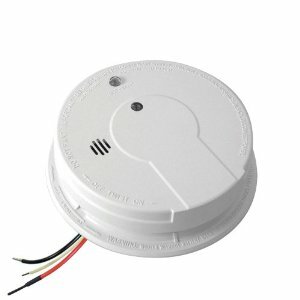 This alarm was reasonable in price and is easy to mount. I hope I never need it, but is reasonably priced and looks good, easy to install. Large digital backlit display is easy to read, even in low-light conditions". 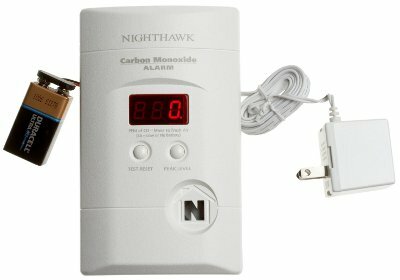 I highly recommend this carbon monoxide detector. Reasonable price for a necessary level of protection. It constantly displays levels, and is battery operated for safety and convenience. Thankfully, I've no idea if this detects CO. I know it installs really easily and comes with three AAA batteries. The only reason this got 4 stars instead of 5 stars is that it doesn't detect LOW levels of carbon monoxide - which might be harmful over a prolonged period. The detector always says zero in my home and I was initially concerned this meant it wasn't working. I've a combustion based heater and I should have some level of CO, say 10 ppm. Battery operated and easy to mount anywhere. This unit requires three AA batteries, which also requires annual replacement. However, the three AA batteries are much less costly than the 9-volt battery. The battery life is even really good, almost a year on the original batteries. The batteries aren't name brand but are some Chinese battery with KIDDE printed on it. It works off a battery so you're always protected, and it'll let you know when it needs a new battery,. I put in new batteries, and it worked fine. The 7 years doesn't start until you install batteries. This one doesn't take up an outlet, being battery operated. This unit fits all requirements. I like that the unit has a internal timer and after 7 years will let you know it's time to replace unit. I wonder how many people have units with the same defect who're imagining they're safe because their unit always reads zero?. It looks cool, has a small digital display which shows the amount of CO2 in the air (if any), it's easily mounted and i like this unit. As far as I can tell, both units purchased worked perfectly and the small size made them easier to place than some of the large round units. Both of the displays are used where a plug in unit wouldn't be practical so this unit was ideal. The unit itself seems fine and Amazon pricing/delivery is hard to beat. You then MUST replace it with a new unit.